***Any questions or need more info? 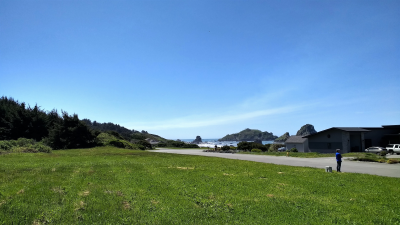 Call/text Melinda direct 541-661-0691*** Have you always dreamed about living by the Beach, but without the hefty price tag? Then this is your chance now! Check out this amazing, approx. 0.71 acre lot only a few steps from a "never ending" sandy beaches! Come & build your Dream Home in this wonderful Gated Community only a couple of miles from the California & Oregon border. Enjoy the gorgeous views, take a few steps on the well maintained community beach paths and you are down by the water. This lot is all flat, building on it should be easy breezy. Do your shopping in Brookings (tax free) yet enjoy all the California benefits. This is a breathtakingly beautiful area, truly a gem of the West-Coast. Came take a look, and start dreaming! "Buy this or any other property through me and get a FREE Big Screen TV!" see www.MelindaFarkas.com for more details.